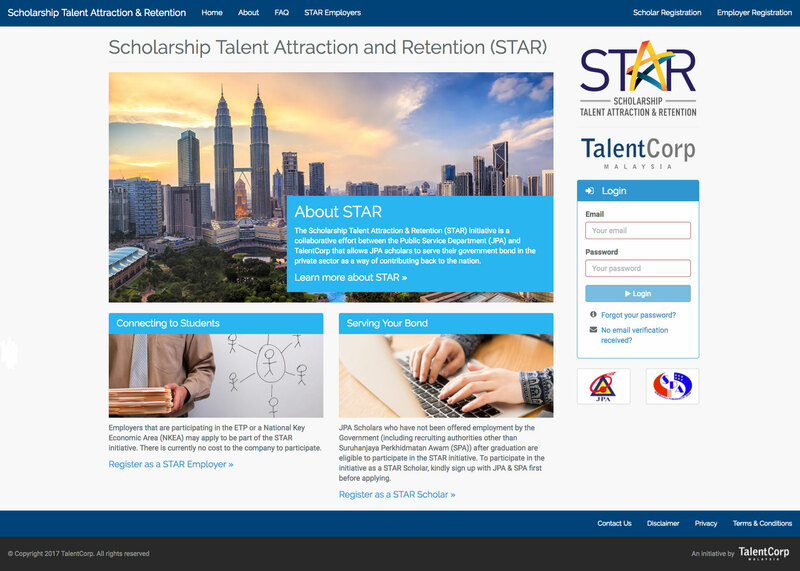 The Public Service Department (JPA), in collaboration with TalentCorp, has introduced the Scholarship Talent Attraction and Retention (STAR) programme which now enables JPA scholars to serve their scholarship bond in the private sector. Participants will be serving in key Malaysian companies that support the Economic Transformation Programme (ETP). We were commissioned to develop a scholar management portal for 4 users: Scholars, Talent Corporation, JPA and companies.